Season 6 Character Portrait ~ Rick Grimes. . HD Wallpaper and background images in the The Walking Dead club tagged: photo the walking dead season 6 character portrait rick grimes. 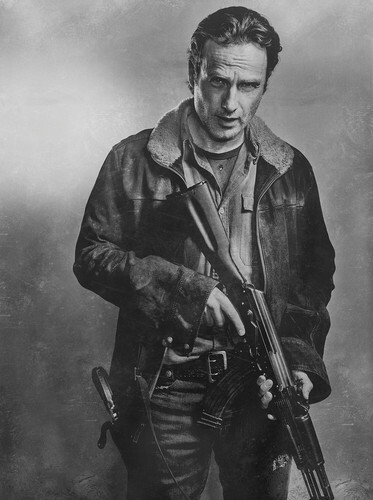 This The Walking Dead photo contains rifleman. There might also be beret hijau, pasukan khas, askar elit, elit askar, pakaian pertempuran, and berpakaian tempur.